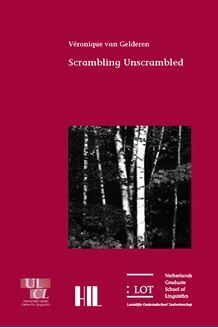 This thesis investigates the scrambling patterns found in various languages, in particular Russian and Japanese. It is argued that scrambling in all languages results from demands placed by the PF interface, in order to satisfy conditions of Information Structure. Two principal mechanisms are claimed to make this PF interference possible. On the one hand, Early Spell-Out allows constituents to reach PF unmerged, which in turn leaves PF free to re-order them linearly. On the other hand, depending on certain properties of the syntax of a language, it is possible in some cases to have syntactic movement take place for PF reasons, resulting in PD-movement. The thesis shows that while only PD-movement is available in Japanese, Russian allows both Early Spell-Out and PD-movement. This thesis is of interest to syntacticians interested in minimalism, derivational approaches to syntax, and the patterns of scrambling in various languages.